Over the Christmas and New Year holidays, I spent three weeks back “home” in California. I admit after three weeks of basking in the glorious Californian sun and spending time with beloved family and friends, it was difficult to come back to grey and cold, January Zurich. But on my long flight back, I thought about all the joys and amazing opportunities being an expat has given me. 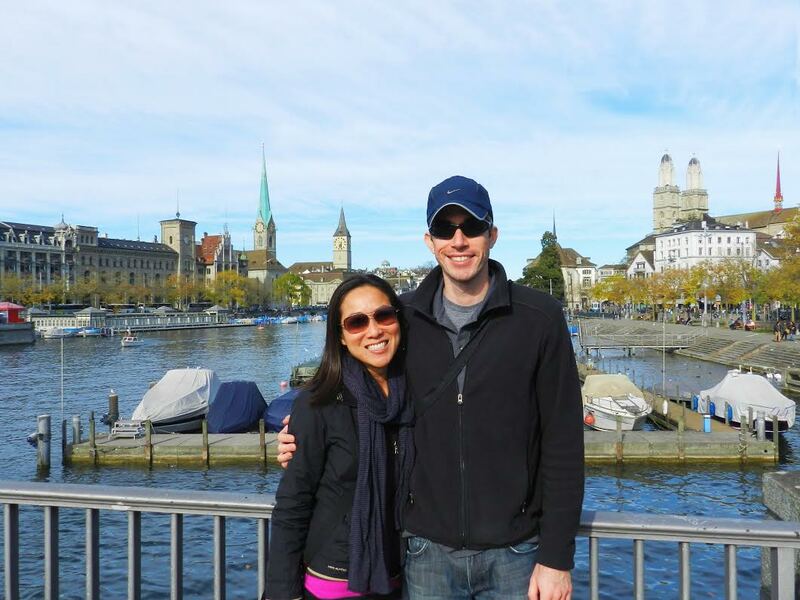 We have been in Zurich now almost 2.5 years – and though I still miss the US, living abroad has been a once-in-a-lifetime experience. If you’ve ever considered it, here are my top 10 reasons to go for it! Nothing expedites the process of discovering who you are than getting outside your comfort zone and branching out into the unknown. Gaining true independence and landing on your own two feet. Relying on yourself in a new place with no family and no friends (yet)…it’s a true test of independence and proof that you’re stronger than what you think you’re capable of. Making a global network of friends. Like I mentioned in my previous post, 20 Reasons Why Traveling Should be on Your 2015 To-Do List, making a global network of friends is one of the best things about spending time abroad. Meeting people from all over the world introduces you to new ideas and different perspectives. Furthermore, when you share with others in the same community and experience similar ups and downs, you develop strong bonds and friendships that you’ll treasure for a lifetime. Learning, adapting and opening your mind. Living in a different country helps us learn about a different way of life, a new culture. Inevitably, our experiences help us evolve and gain a bigger perspective and a more open mind. Traveling…ALOT and getting to see beyond the top 5 Lonely Planet recommendations in every place. Well, I admit…probably the number 1 reason I was excited about our move to Zurich was the traveling. Living in Switzerland! You can go almost anywhere in Europe by train or within a couple hours’ flight. Truth be told, it’s not so much about the number of countries we’ve been to but taking the time to really enjoy a new place. With six weeks of vacation a year and everything in such close proximity, we don’t have to rush. No matter where you’re thinking of moving, it’s a real opportunity to slow down and take the time to enjoy new places. Finding novelty in everyday things. Going to the local grocery store; traveling by train; observing a plant you’ve never seen before; celebrating new holidays; deciphering five different languages on the tram to work. Even simple things can render a deep curiosity, only because they’re foreign. Everything is new again, everyday is a discovery. Engage your inner child and see the world again for the first time. Learning to trust yourself and letting go of control. Getting lots of visitors and playing tour guide in your new home. We love visitors. We love showing our friends and family where we live and all our favorite places of this city we call home. We love introducing our friends from “home” to our new friends at our new home. So pack your bags and come say hi! and doing things I never thought I would…like working in an international office or starting this blog 🙂 What’s in store next? The possibilities are endless. What learning to trust myself and letting go of control (#7) taught me, is how to become more comfortable with uncertainty. Living abroad has helped me gain tremendous patience and less fear of the unknown. What holds you back? At the end of this life, I know I’ll regret the things I didn’t do more than the things I did. If you’re reading this as an expat, what has your experience been like? This post reminds me a lot when I moved from China to Singapore, then to the US. It’s not exactly the same as expat, actually the transition might be tougher (everything was completely new, and I didn’t know anyone in both places, had to figure out everything from cell phone to credit card to public transportation, etc.). I still remember how lonely I felt for the first few weeks when I came to the States, but like you said, things always work out at the end. Now I am calling California home! Thanks for your feedback, Andrea! Great insights and I totally agree! This post hits really close to home!! Beautifully written, Ali!! And while I may not have the exact same experiences (there aren’t as many countries on our back door here in New Zealand), I agree with all of those points!! The only one I would’ve added if there could’ve been 11 was being able to see the US from a different perspective. I find it so easy when living in the States to get a bit engrossed and sucked into the bubble, but being an expat gives a totally different look at the States and actually makes me appreciate it more in some respects (and perhaps a bit more critical on other things)! Thanks for the post, lovely Ali! !